I sometimes wonder how good things can get. 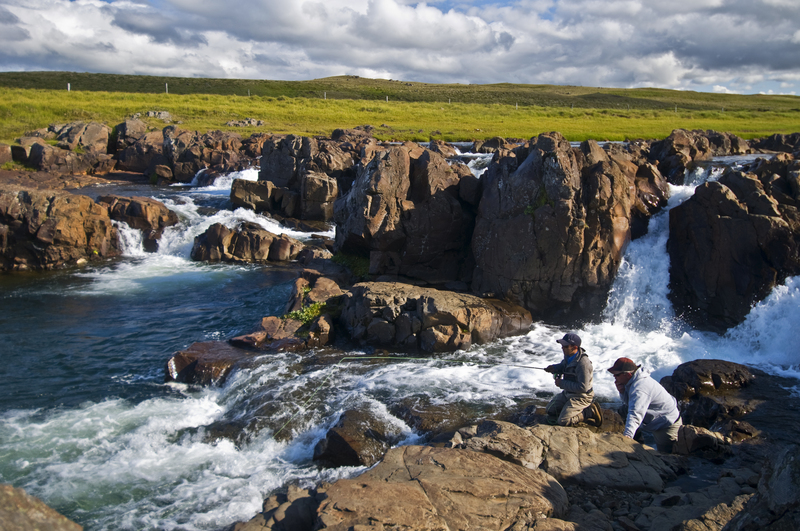 First of all our first season last year was a record year with 4000 salmon landed on the 10 rods. This season started out great with a lot of big fish and it is already the second best year ever in numbers. 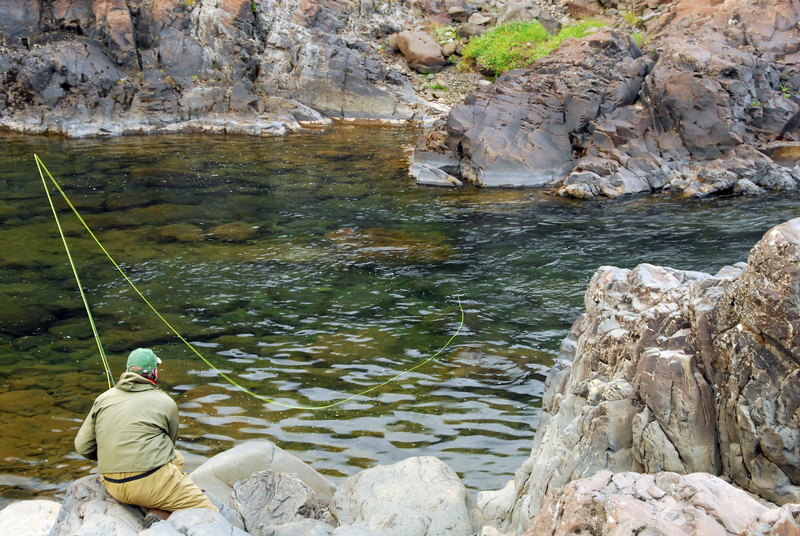 So many big fish have been landed that we have lost count of all the fish from 90 cm – 100 cm. 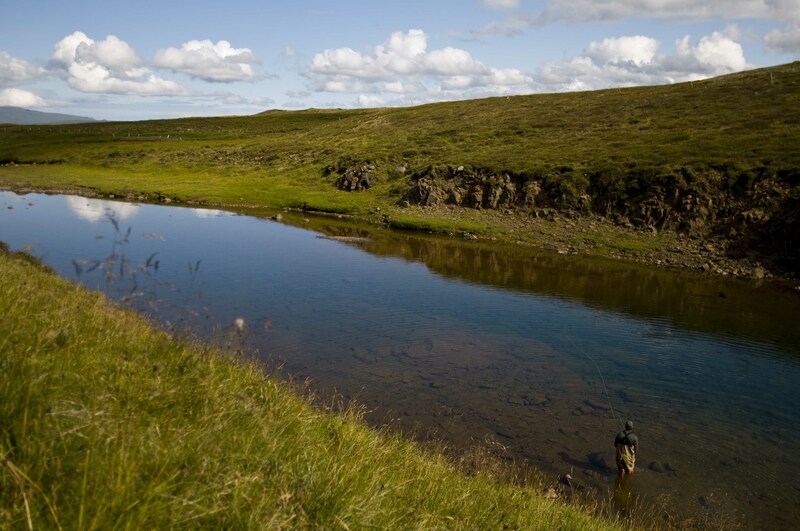 A 108 cm fish was landed in the beginning of august, then the biggest fish landed in Iceland. 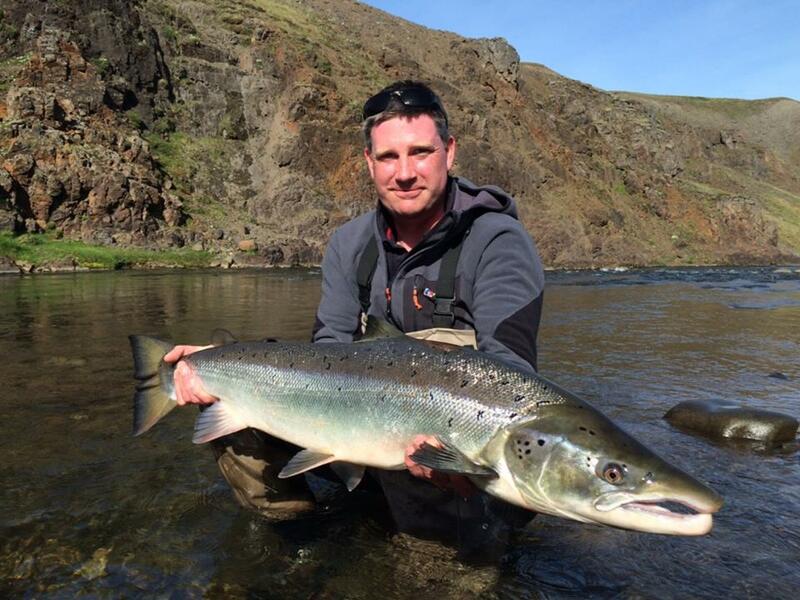 A few days later that was beaten by a Big Laxa fish of 109 and then 110.. But yesterday a great big female of 109 cm was landed form the pool Svarthamar ( where I already had landed a 100 cm fish earlier in the season. ) 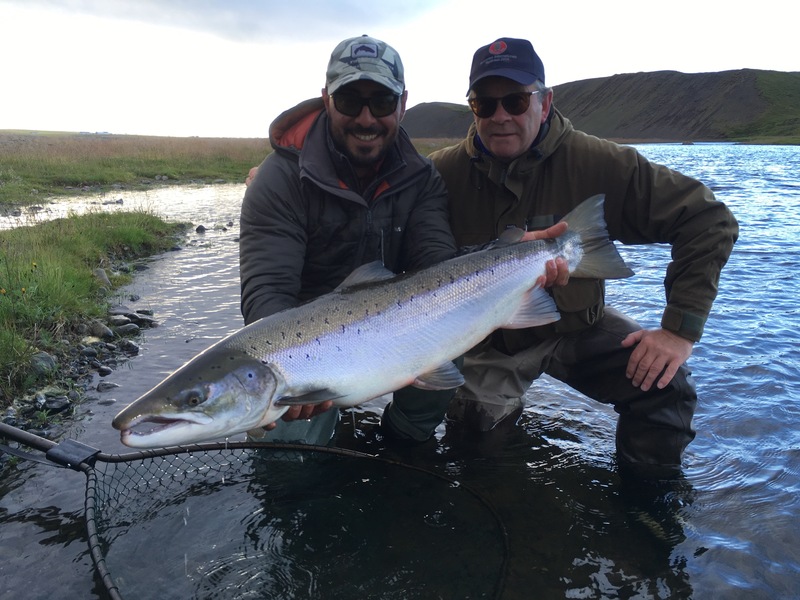 This fish is one of the few 100 cm + female salmon landed every year in Iceland. This female will be laying a lot of ( big fish gene ) eggs in the next weeks. Today I heard of a couple of guys going to the upper east river. They landed 3 salmon on their rod. 90, 93 and 97 cm. What a morning.. 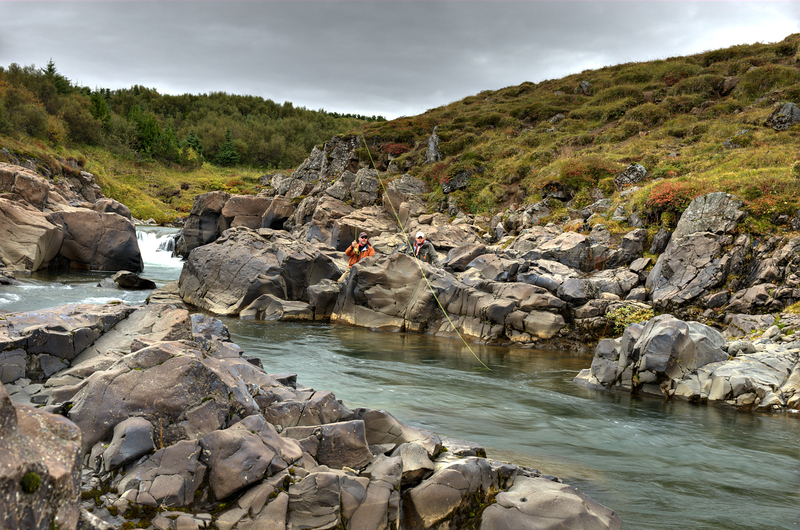 I guess Midfjardara is the best river you will find when it comes to quality and quantity..
Tough times but not that tough.